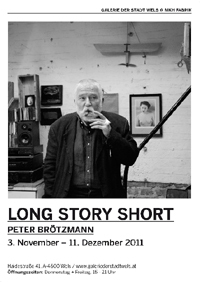 Artist and musician Peter Brötzmann is best known as one of the preeminent figures in contemporary improvised music. He was trained as a visual artist in his hometown of Wuppertal, Germany, in the late 1950s, and his early musical career as a saxophonist and clarinetist was paralleled by his first art exhibitions in Holland and Germany. Brötzmann assisted Nam June Paik on Exposition of Music-Electronic Television, Paik's first installation at Galerie Parnass in 1963, and he participated in Fluxus events in the mid 1960s. 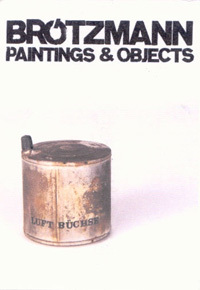 Since that time, along with large-scale oil paintings and delicately lyrical watercolors, Brötzmann has amassed an oeuvre of small constructions, often using found or fabricated wooden boxes as both support and frame, sometimes integrating metal elements including cans, can lids and rusted industrial detritus. 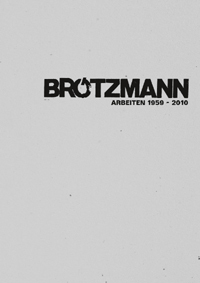 In recent years, retrospectives of Brötzmann's artwork have been mounted in Sweden and Germany. Opening at 3 PM with speech by John Corbett and a performance by Martin Hall. 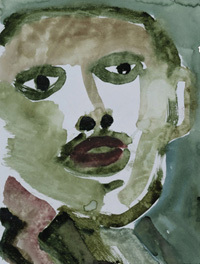 One of the really important musicians in free jazz and improvised music started as a painter. 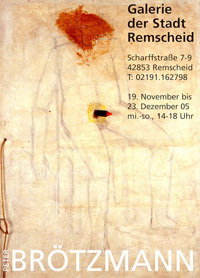 We will show objects and paintings from 1959 – 1996, first time gathered in an exhibition. The exhibitions are accompanied by a 48 pp, full color catalog. 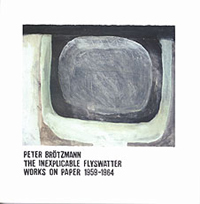 Peter Brötzmann, best known as one of the founders of European improvised music and one of the most important jazz saxophonists of the post-60's era, began his creative life as a painter. 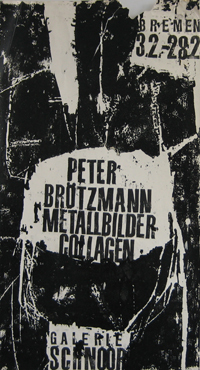 Brötzmann began painting and making collages while still a teenager in the 1950s, in the German cities of Remscheid and Wuppertal, part of the industrial Ruhrgebiet area where he grew up. By the time he was 25, when he finally and decisively committed himself to making music as a primary artistic endeavor, he had already mounted gallery exhibitions in Holland and Germany, collaborated in several key Fluxus events, and established working and personal relationships with international figures of the expanded arts, most closely Nam June Paik and Tomas Schmit. The Inexplicable Flyswatter is the first North American exhibition of Brötzmann's visual art that follows up on his recent Swedish retrospective last year at Ystads Konstmuseum in Sweden in late 2002. The subject of this exhibition at Woodland Pattern Book Center (on view last month at Chicago's Gallery 1926) will be works on paper (paintings, collages, lithographs) created over a four year period from 1959 to 1964, more than half of which focus on a common, peculiar image: the flyswatter. "An ideal dadaistic image, the flyswatter unites elements of humor and violence in a versatile visual schema - rectangular two-dimensional swatting surface with uniformly distributed perforations - that suggests grid-like patterning and formal repetition." November 19th through December 23rd, 2005 . 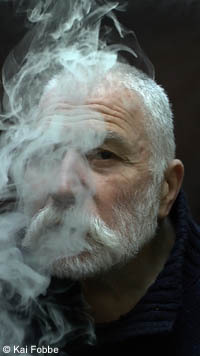 Renowned internationally as a musician, saxophonist and clarinetist Peter Brötzmann has maintained a parallel life as a visual artist. His first exhibitions took place in Europe during the early 1960s, when he also worked with Nam June Paik and participated in Fluxus events. His efforts as a painter and fabricator of objects have been featured in periodic exhibitions, including a 2005 retrospective in Remscheid, Germany, and a show of very early works in Chicago two years prior. This is the first major survey of Brötzmann's recent work in the U.S., featuring large format works on canvas and small scale assemblages, as well as an assortment of older pieces. 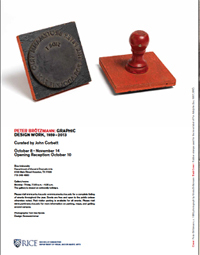 The exhibition is accompanied by a 100 pp, full color catalog. 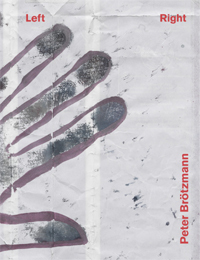 Corbett vs. Dempsey is pleased to present its second solo exhibition of artwork by Peter Brötzmann. 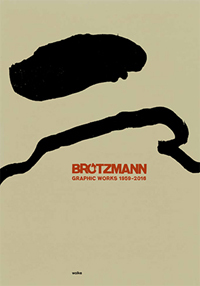 Brötzmann is perhaps best known as a musician, but has been consistently making and occasionally exhibiting visual art in Europe and America since 1959. 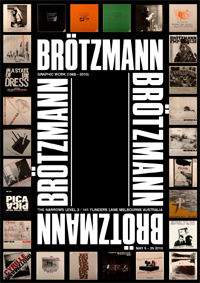 In 2007, CvsD mounted the first major survey of Brötzmann's artwork in the United States, a show that focused heavily on his large paintings and constructions. Now, two years later, Wood & Water features his recent small-scale work on paper, including woodcut prints and watercolors. 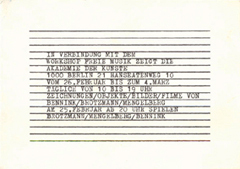 Despite their difference in scale and media, these works maintain the elegant roughness that characterizes both Brötzmann's music and his larger artwork. Some of the subject matter is the same. 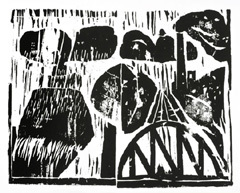 For example, his interest in industrial and natural landscapes remains; the belching smokestacks and hump-backed steel bridges that surround Brötzmann's hometown of Wuppertal, Germany, are gouged out in one of his stark black and white woodcuts. Meanwhile, in his watercolors, Mother Nature's lumpy hills, heavy clouds, and skeletal trees are painted in gorgeous washes of black, purple, and gray. Brötzmann's material inventiveness is also on display here. Some of the pieces in the show make use of the textural and chromatic qualities of wrinkled foil wrappers, round paper pie plates, and instant coffee. These prints and paintings require only the simplest ingredients (wood, water, pigment, paper), but Brötzmann's skill lies in using them to create extraordinary formal complexity and raw emotional power. 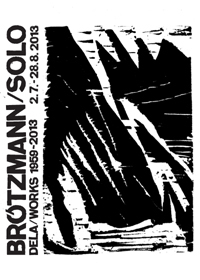 Brötzmann's artwork has been shown sporadically around the world for decades, including a retrospective in Remscheid, Germany in 2005 and an exhibition of early work in Chicago in 2003. Brötzmann came of age in the 1960s at the same time as many of Germany's most famous artists, including Joseph Beuys and Georg Baselitz. Early on, he worked extensively with Nam Jun Paik and the Fluxus group, and since then he has performed musically all over the world. Until recently, he had maintained his art-making as a relatively private and personal occupation. The intimate artworks in this show are a window into Brötzmann's sustained accomplishment as a visual artist. by John Corbett, Mike Pearson and Susanne Buckesfeld. The exhibition is accompanied by a 23 pp, full color catalog. The exhibition is accompanied by a 48 pp, full color catalog. 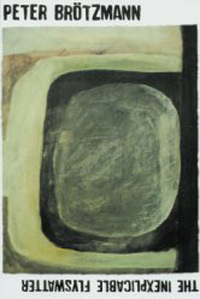 Gallery hours: Monday - Friday: 11:00 a.m. - 4:30 p.m.
David Keenan, Karl Lippegaus, and Jost Gebers (in English). 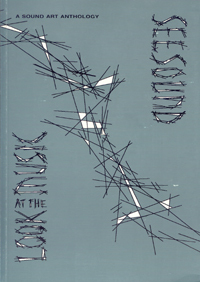 Catalog obtainable at Wolke Verlag .